ARCC Gap is Now Accredited by the Gap Year Association! After nearly 36 years in the industry, and our eighth year of running Gap Year programs, we are very excited to announce that we have recently received our accreditation through the Gap Year Association (formerly the American Gap Association). The Gap Year Association (GYA) was founded in 2012 as a non-profit organization setting standards for organizations within the Gap Year industry and working to progress the Gap Year movement for high-school graduates around the country. Gap Year programs have been growing in popularity and acceptance for many decades. In recent years Gap Year programs like ours are seeing increasing participation from students in the United States and around the world. As the Gap Year industry has grown, the Gap Year Association has been a strong advocate for the movement while also creating a set of standards for companies seeking the highest accreditation. In order to become an accredited member of the Gap Year Association, a program must provide evidence to uphold the GYA standards, which are some of the most rigorous in the industry. The GYA accreditation standards include categories such as safety, educational curriculum, service learning, inclusion and diversity, impact on local communities, etc. The four primary pillars under which these standards lie are: Philosophy & Integrity, Backcountry & Developing Country, Service-Learning, Independent Student Placements, and Partnerships. Beyond serving as an accrediting body within the industry, the GYA conducts collaborative research to look into the outcomes that a Gap Year can have for a student. It provides ample information regarding program options, scholarships and financial aid opportunities, and advocates for Gap Year students within the fields of higher education. The growing movement to take a Gap Year has proved increasingly beneficial for young adults in the United States choosing to take a step outside of the traditional progression of education and break the mold. This decision is not always easy when the majority of graduating high school seniors are heading straight on to college, but Gap Year students have a number of different avenues they can take to fill this year. There are structured Gap Year programs like ARCC’s, which can involve travel, service learning, outdoor adventure, leadership development, internships and service, or more independent options for students who wish to travel on their own. Many Gap Year counselors and consultants recommend students consider breaking up their year to involve a variety of different opportunities and experiences. For many students, this means participating in a more structured, group-based gap program in the fall so as to get their feet wet and gain the skills necessary to go on to a more independent program, internship or independent travel in the spring and following summer. In addition to acting as an accrediting body, the Gap Year Association also provides a number of resources for students looking for the right program or seeking financial assistance. ARCC also has a list of third-party scholarship and grant opportunities for Gap Year students, as well as in-house financial aid and a fundraising toolkit on our Website. 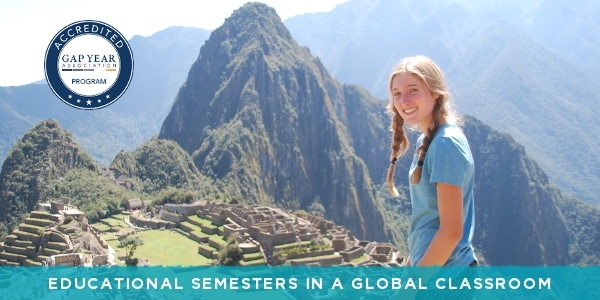 Over eight years, ARCC Gap has grown to include both Fall and Spring Semesters with Gap Year opportunities all over the world. With so many opportunities for Gap Year students, each student can cater their year to fit their needs and personal goals and interests. The opportunities for Gap Year students and benefits of taking a Gap Year truly are endless. And, while there are many reasons to take a gap year, an average of 90% of Gap Year students continue on to college within one year of their Gap Year. Gap Years have proven to have a positive impact on student’s performance in university, with higher overall graduating GPA’s than students who did not take a Gap Year. Further, these students are more likely to graduate in four years than their non-Gap Year counterparts. Not to mention the personal growth, gained maturity and independence, and self-reflective aspects that contribute to a student’s development over the course of a Gap Year. These experiences often provide direction for students in their further educational pursuits and career choices post-Gap Year. If you are interested in learning more about the history of the Gap Year Association, their practices and what they are currently doing to encourage the Gap Year movement visit their website. ARCC Programs has offered summer travel programs and gap year programs for teens for over 35 years. With travel programs on six continents, there is something for everyone. Find a summer program or a gap year program on our website or request a catalog today.